David Clarke has nearly 30 years of experience with the provincial government, and has had a diverse range of experiences from the development of non-profit housing, long-term care home, and hospital projects, to development of the Aging at Home Strategy, passage of the Long-Term Care Homes Act, 2007, and the negotiation and management of Physician Services Agreements. For the past 5 years, David has been the Director, Negotiations Branch for the Ministry of Health & Long-Term Care. In that role, he provides support to the negotiation and administration of physician services agreements. 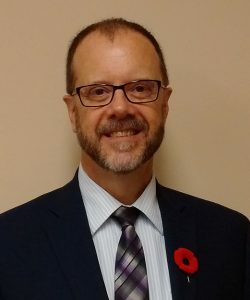 He is also responsible for the administration of approximately 1,500 physician alternate payment agreements, ranging from the various primary care models to specialist contracts including the Academic Health Science Centre agreements. He has been a member of the Innovation Fund Oversight Committee for the past 3 years.